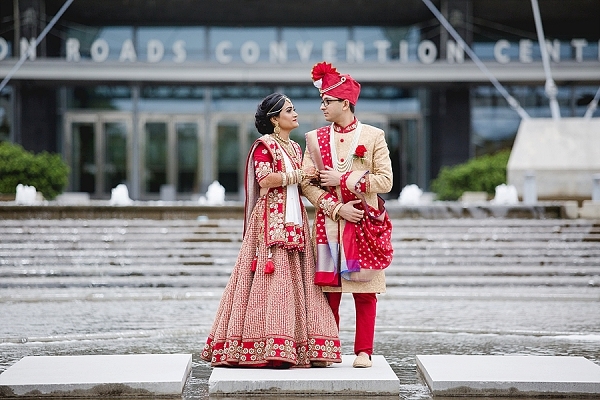 He was studying his Master's of Business Administration in Dallas, Texas, and she was a medical student in Brooklyn, New York. 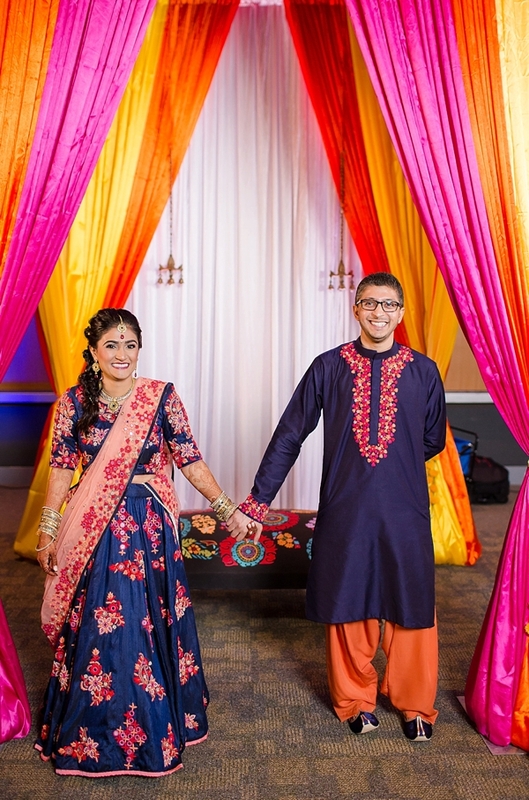 When Pruthvi sent Akshat an online message on their temple's matrimonial website, their story really began when he reached out with "Hi, Pruthvi." 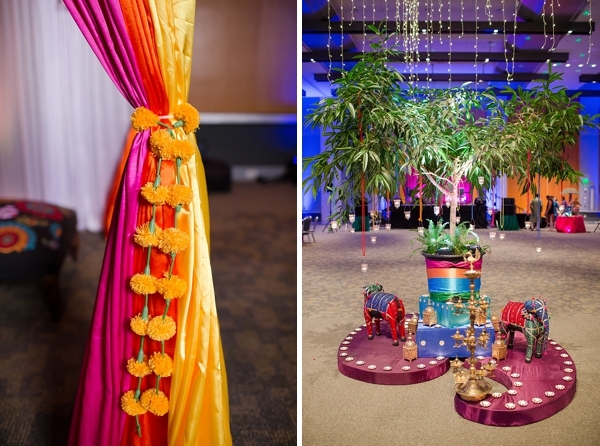 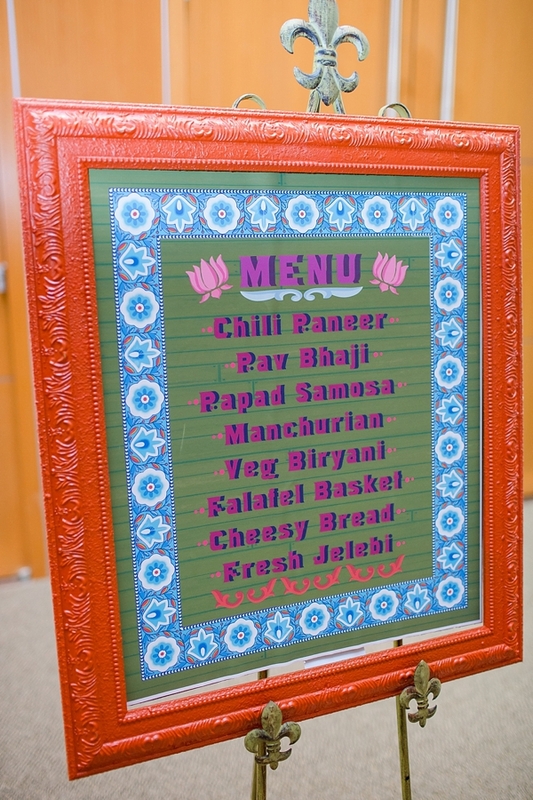 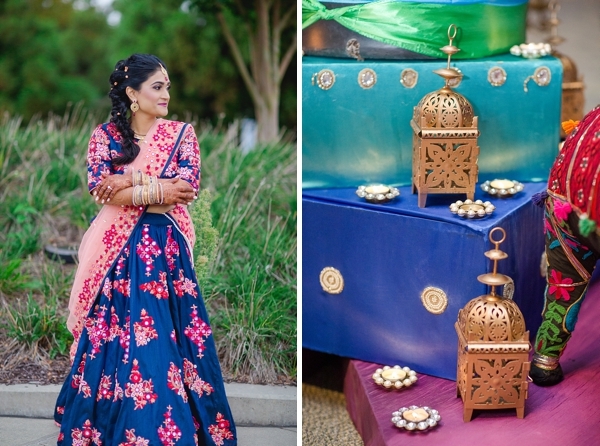 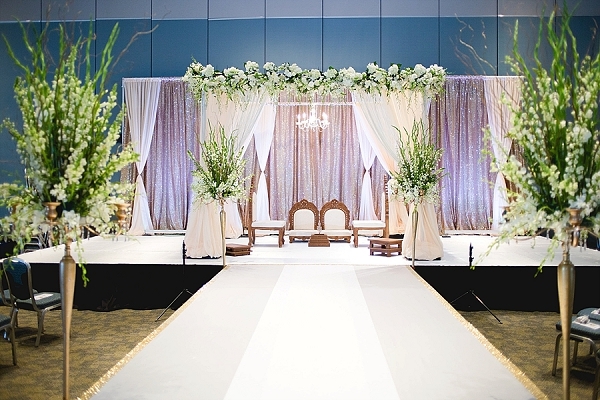 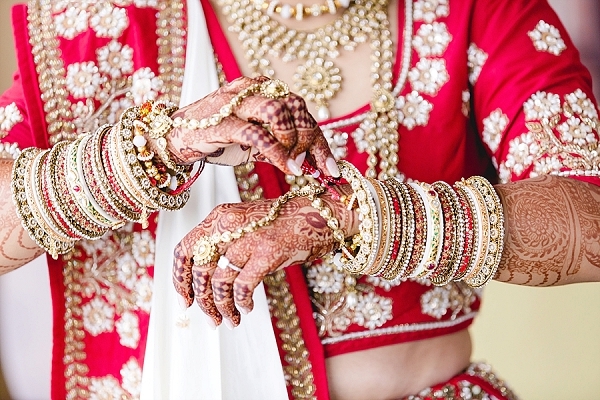 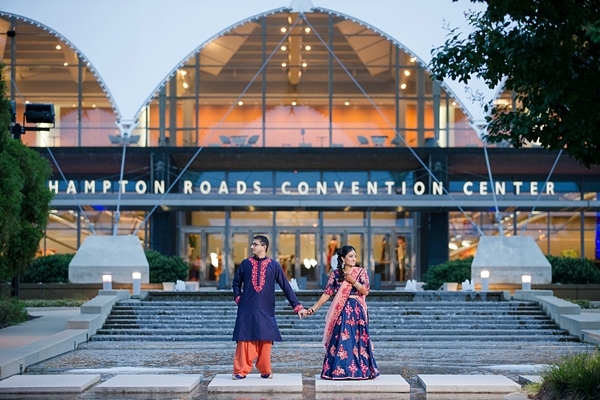 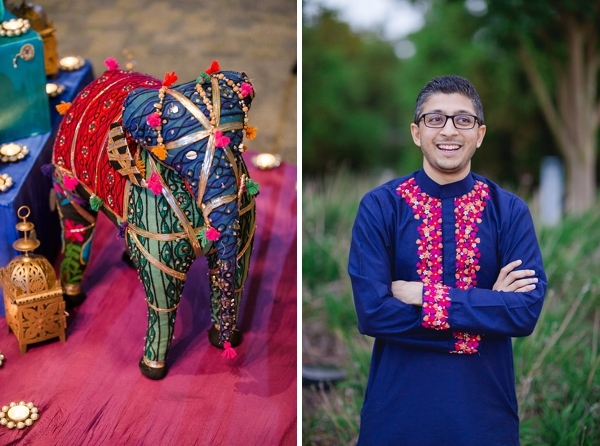 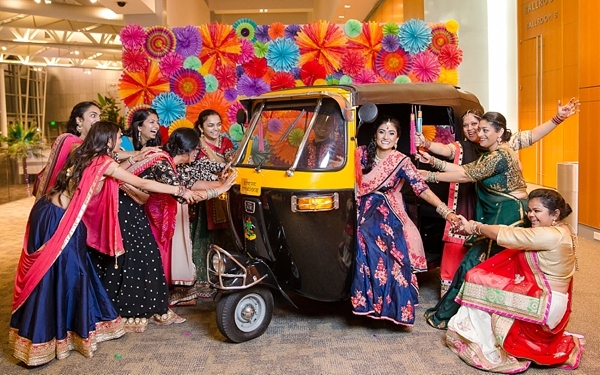 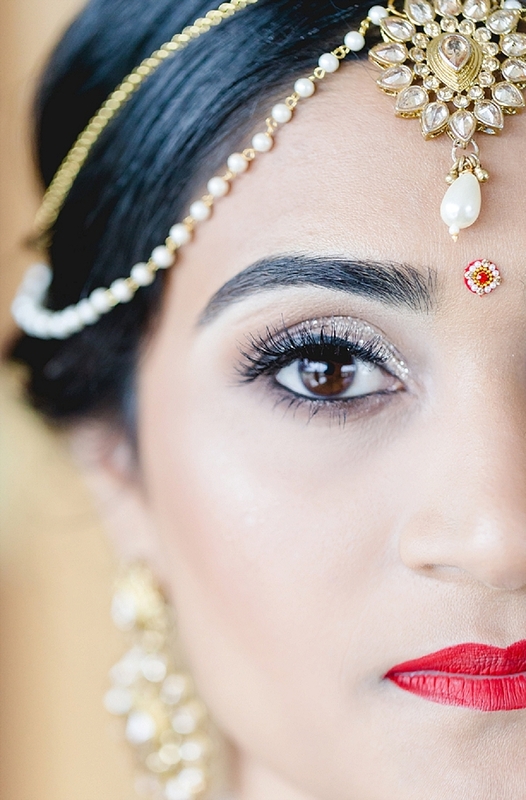 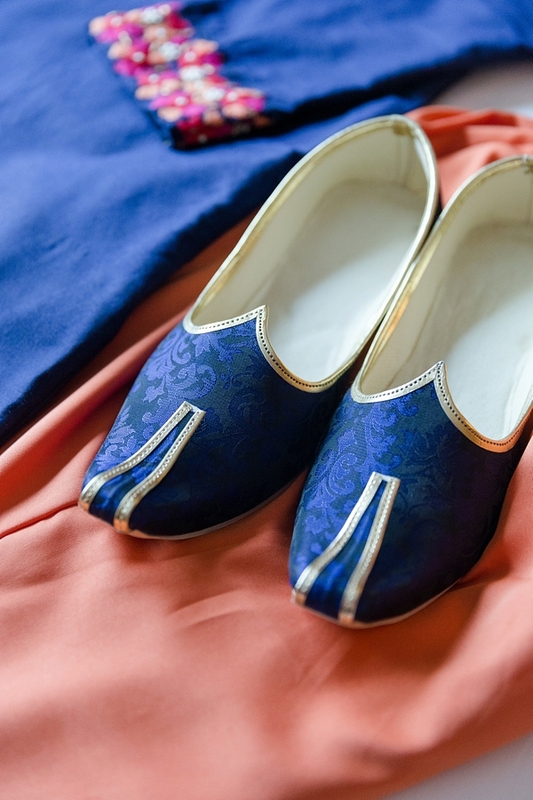 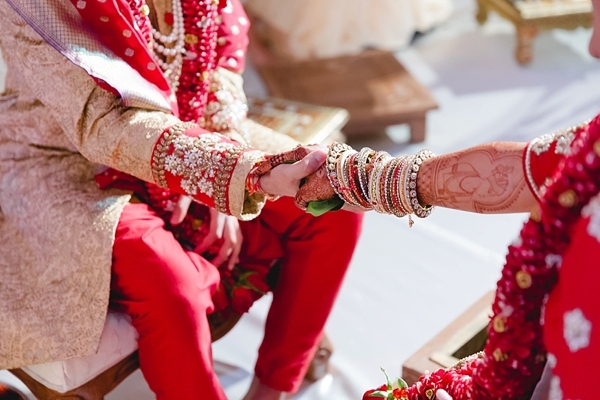 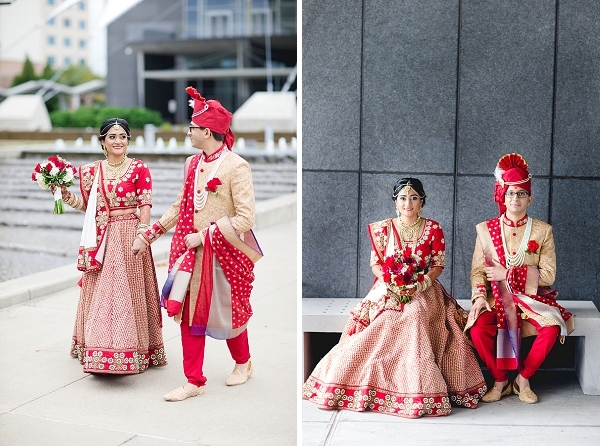 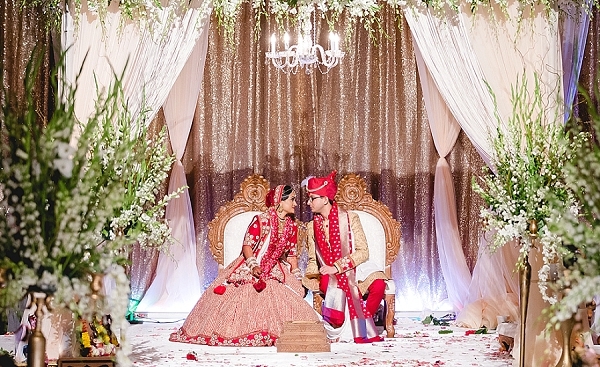 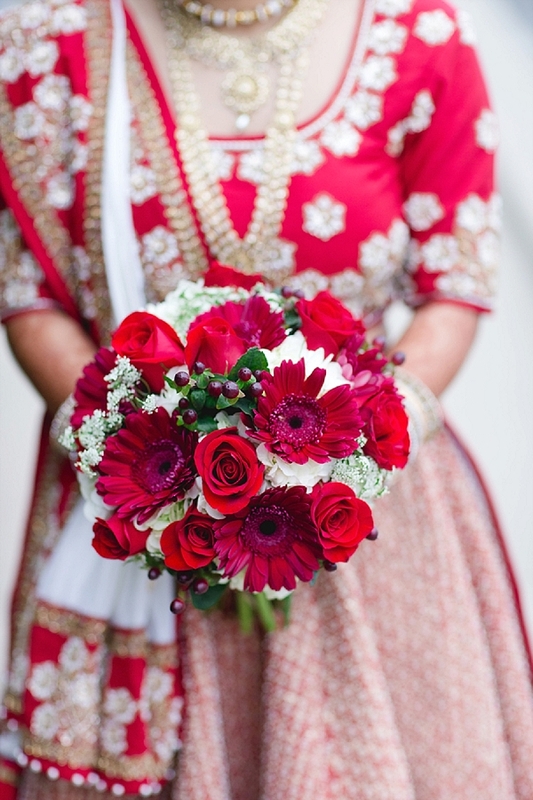 One thing led to another after froyo dates, visits to NYC, and walks in the park, and it all blossomed into a three-day traditional Hindu Gujarati wedding celebration at the Hampton Roads Convention Center near the bride's hometown of Newport News. 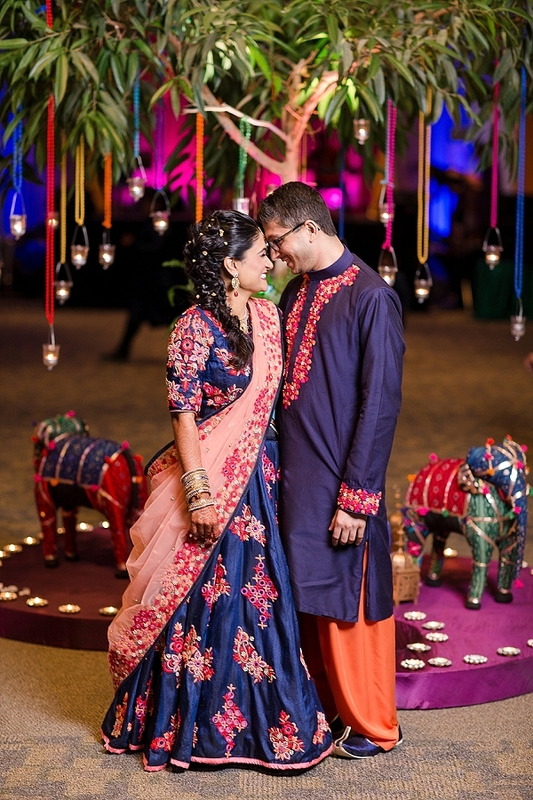 Surrounded by shimmering waves of bright reds, blues, pinks, golds, oranges, and all the color you could dream of, the lively details of this multi-day event were captured by Luke & Ashley Photography and coordinated by Simply Perfect Events. 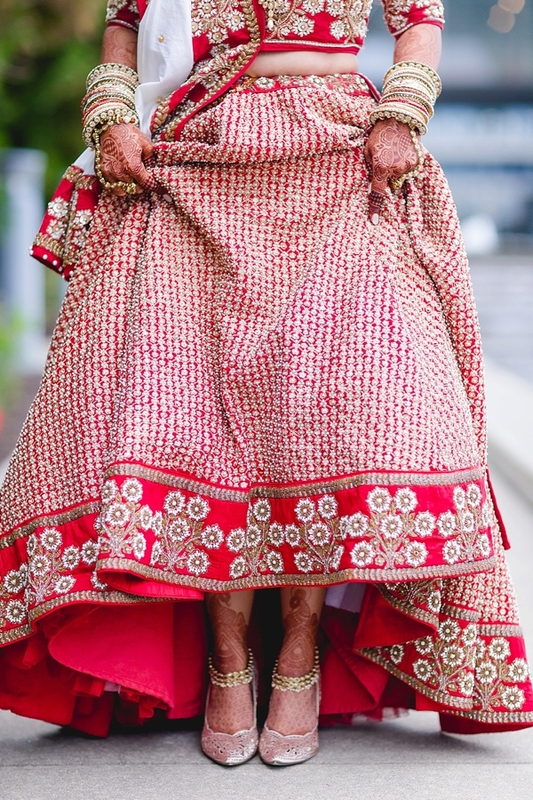 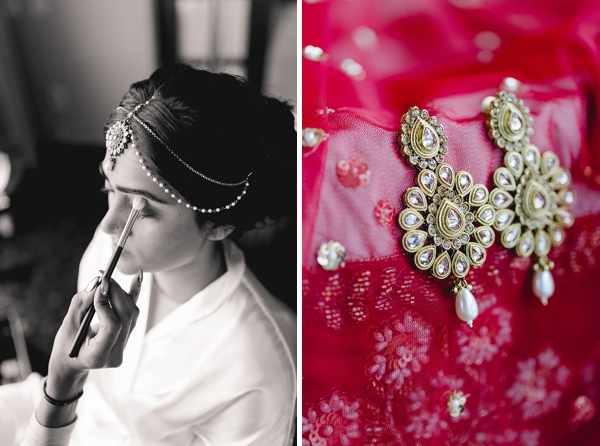 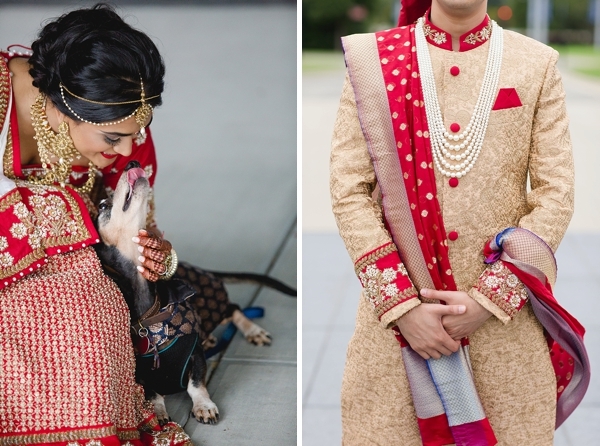 Dressed in an elegant cherry red lehnga dappled in intricate beading for the ceremony day, the bride dazzled and perfectly complemented her groom in his embroidered gold sherwani and feathered safa. 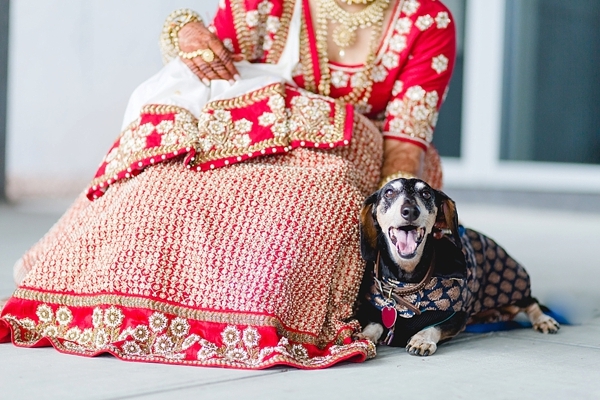 Even the very handsome family pup named Gopal wore his formal finest and made sure everyone looked their very best! 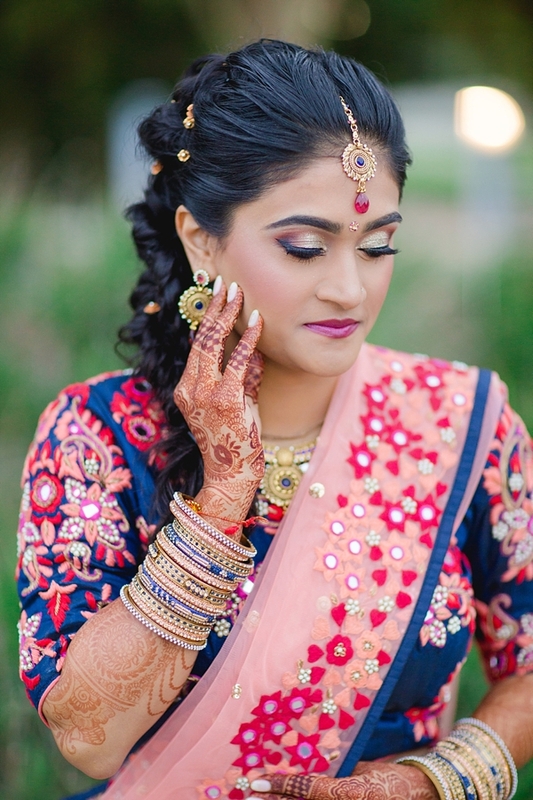 From the Baraat filled with music, laughter, and Akshat riding in on a white horse to artfully designed henna to ceremony traditions based on sacred Hindu scriptures, everything honored what Pruthvi and Akshat valued most: family, faith, and their future together.